Spellbinder Entertainment provides evocative magic that lingers in memory. Our Theatrical Magic approach integrates beguiling mysteries with imaginative tales. 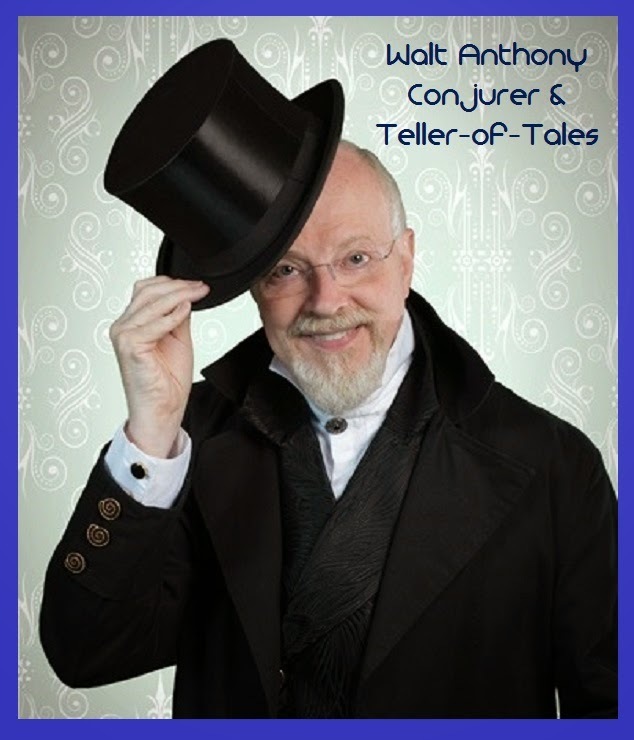 Walt Anthony blends the Art of Magic and the Art of Storytelling to evoke astonishment, emotional connection, and wonder– qualities lost to many of us since childhood. Many magic shows are just a series of disjointed “tricks.” We offer Theatrical Entertainment that transforms mere trickery into spellbinding magic. Since ancient days people invented stories to explain the unexplainable. They understood the power of wonder and of the spoken word. Fables and myths arose providing a foundation for communities to comprehend their world. Explore this tradition with Walt Anthony– and you will Believe in Magic again.